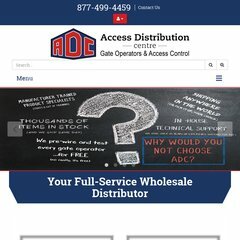 Topics: Slide Gate Operators, Barrier Gate Operators, Swing Gate Operators, and Gate Operators Accessories. Ntt America Inc (Colorado, Centennial) is the location of the Apache/2 server. The site is programmed for PHP/4.4.9. ns16.domaincontrol.com, and ns15.domaincontrol.com are its DNS Nameservers. PING (198.106.8.250) 56(84) bytes of data.